Well, since (virtually) all rivers near coasts have salt wedges running up them as the tide comes in, I would expect similar tide-synchronised intrusions of denser salt water below the outflowing meltwater beneath the fragmented glacier by the cil. Why wouldn't it? Since the S-1 radar is higher up in the sky than the Sun the shadowing-effect is clearer...in the image posted by johnm33 one could assess the height of the whole calving-front. Radar altimetry cannot resolve something as narrow, deep and complex and Jakobshaven calving front. 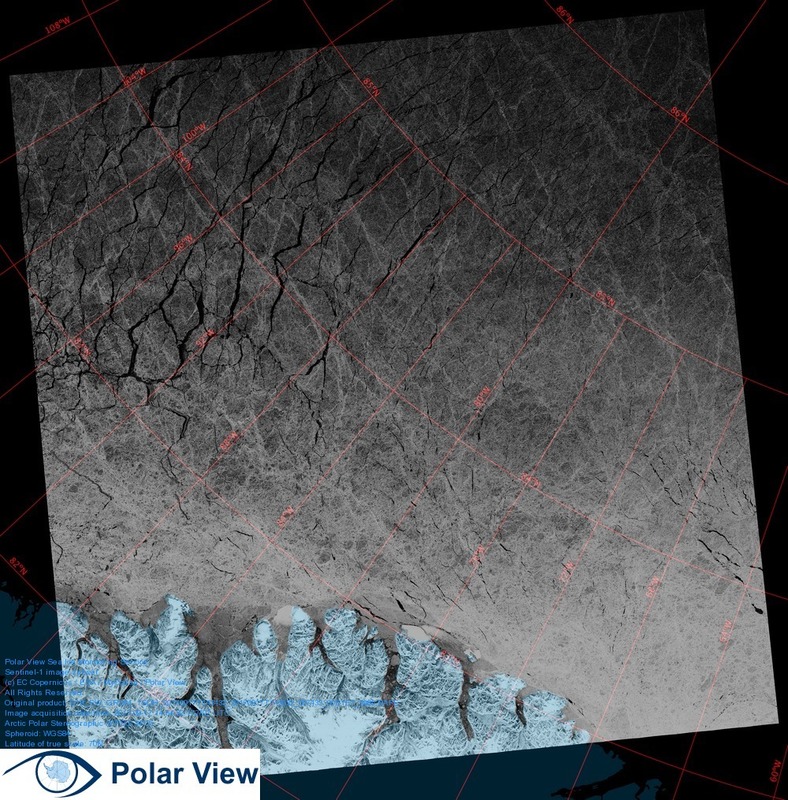 Measuring shadow-length from VHR optical/SAR imagery does work but the data is scarce. Jacobshavn during the dark season in 16 Sentinel 1B images. Is it possible to estimate the flow rate from those images? Yes, for example with the ESA SNAP toolbox. We could assume that since the next loss has been averaging 200 Gt/yr, and this past season gain was 200 Gt above average, that the net balance was near zero. However, without GRACE data, we do not know for sure. GRACE is not the only game in town, satellite altimetry and the input-output methods still work. Arctic background / Re: Whose data is wrong? DMI say net mass loss p.a. is circa 200 gt due to peripheral melting and glacial loss. That's in a normal year I reckon. - What will the net mass loss be in 2017? Depends on snowfall now to December ? (see next question) Will have to wait for NASA's GRACE system to tell us next year? I wonder if zero net mass-loss or even net gain is possible this year. BTW GRACE is about to die and the data is getting more and more patchy. We must hope that the GRACE Follow-On launches and works without a glitch (godspeed!). Here's the cloud coverage situation on Friday at 1200UTC. That's one I don't think I've seen before. Gotta link? That's from ECMWF directly so it's not freely available...(a pity). Misconception. I disagree! The job isn't "finished" at that point, but only at its very beginning! The ocean melting advances and its re-freeze delays further. This exposes the ocean to sunlight much closer to the solstice and then staying exposed to that sunlight for longer. But it looks like none of the sunlight is hitting the surface directly due to extensive coverage of low clouds this summer. This could be a feedback resulting from more open water that is preserving the ice. edit: here's the cloud coverage situation on Friday at 1200UTC. Sun can only hit the surface full on in white areas & the colours depict low/medium/high cloudiness situation.